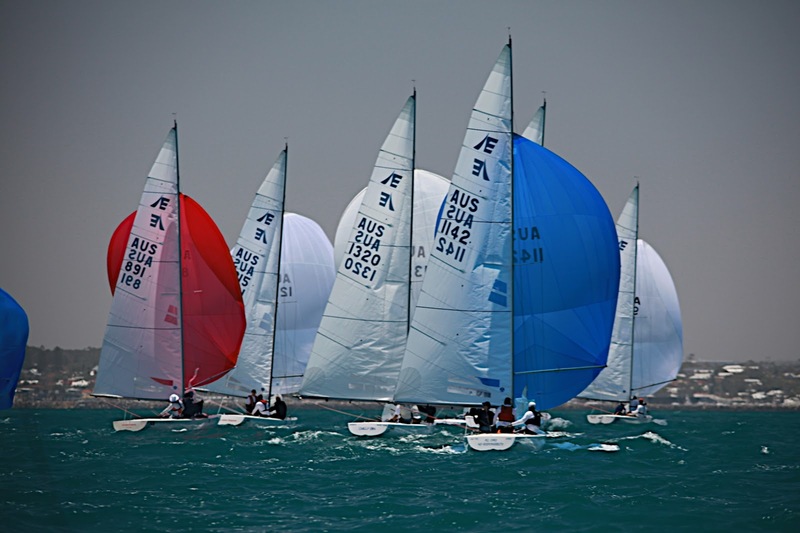 As the fleet headed out to sea for the start of the Syd Corser Regatta, the pre-cursor to next week’s National Etchells Championship, the forecast promised five knots. 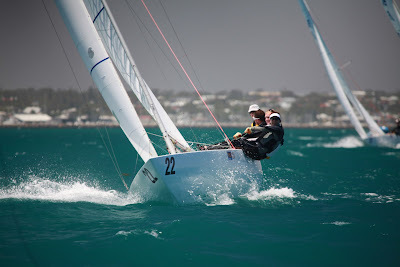 However, right at the scheduled start time, a light sea breeze drifted over the Fremantle course area and racing began after a short delay. The breeze built to around 8 knots during the morning, strengthening further to 12-15 knots during the afternoon to provide perfect sailing conditions. 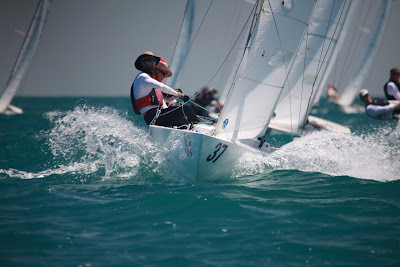 Vying for the national title are America’s Cup legend John Bertrand, Torvar Mirsky (who only recently sat on top of the world match racing leaderboard), Hong Kong champion Mark Thornburrow, current national champion Matthew Chew from Queensland, and a host of former class champions. The first race today went to National Etchells president Jake Gunther, who worked his way to the front of the fleet to open up a handy lead and hang on to win comfortably from Peter Chappell. In the day's second race, Hong Kong yachtsman Mark Thornburrow was first to the top mark after a good start, favouring the centre of the course where many worked the south side. Thornburrow doggedly clung to the lead, with a fast finishing Torvar Mirsky second. Michael Manford, who was almost unbeatable in the last regatta held in the same course area, finished disappointing 13th in the first race, but recovered well for third place in races 2 and 3. 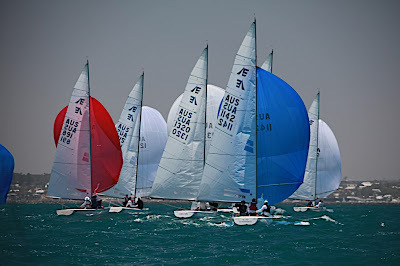 Race three turned into a replica event for the top three boats, finishing in exactly the same order, which will have Thornburrow and Mirsky in very good shape after the first day of competition. More light conditions are forecast for tomorrow.